Cat Attract is the first cat litter to specifically address problem cats. It is also an excellent litter for getting kittens off to a good start with their litter box habits. Over nine million cats suffer from litter box aversion. It's a leading reason why cats are abused, abandoned and put in shelters. Now there is Cat Attract, my answer to help these cats live a long happy, healthy life in a home, not a shelter. 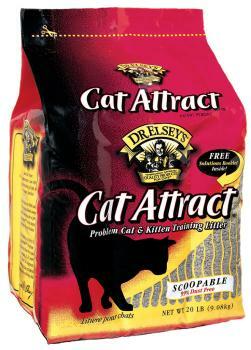 If your cat is not using its litter box, look for Dr. Elsey's product. Our Dr. Elsey's Precious Cat scoopable litters, Classic, Ultra and Ultra Scented are now 99.9% dust free. These litters also feature the ideal texture, particle size and "paw feel" to create the ideal litter box environment for your cats. This along with proper litter box care will keep your cat content and happy. My cat was starting to use the bathroom in places other than her litter box. As soon as we started using this litter, she has only gone in her box. 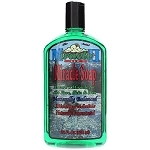 Another big plus is that I don't smell anything and it's very clumpy; so clean up is a lot easier. Q: Can you please let me know when you will have this item back in stock?